Gelinas Excavation is now offering sewer and drain video inspection to take the guess work out of your sewer problem. 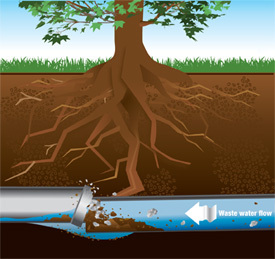 Having an issue with your underground sewer or drain lines? Why pay the high price of a plumbing company? Cut out the middle man and call Gelinas Excavation. One call does it all, we find the problem, show it to you on the camera and then repair or replace the broken pipe. Clog Drain? Sewer backing up in your house or office? Many things can cause a sewer line problem. Here are just a few examples: Roots, corroded pipe, grease build-up, other obtructions such as paper towels, tampons, baby wipes, etc. If you have a sewer line issue, give us a call we are the pipeline problem solvers. Our pipeline specialists use state of the art technology to diagnose your sewer issue. We use a self leveling colored video camera that we can record what we find and send you the recording for your records.